Are law firms going to replace Client Account Managers with Client Project Managers? Law firms have had, for some time now, a Client Account Manager support role within their Business Development and Marketing teams. Typically reporting to the Head of Business Development and the Client Relationship Partner, these roles have historically been focussed around a number of “key” client programs (aka Key Account Management programs or “KAM”) and can also be sector specific – for example, financial services, energy and resources and government. In the larger firms, the Client Account Manager may be required to look after up to three to four large client accounts, but normally the role is inward looking with little (in real terms) direct interaction with the client themselves (although in some cases you do find the law firm CAM and support personnel at the client talking to each other regularly). is it now time to move on from the Client Account Manager role? I recently watched an interesting video (27 minutes and 2 seconds) of a panel discussion filmed at the Briefing Operational Leaders In Legal 2014 conference (November 2014) that talked about, among other things, “client-facing account managers and better management information“. Moderated by Julia Chain of JSC Associates, the panel included Jonathan Beak (chief counsel – legal, UK and Ireland, Thomson Reuters), Sarah Spooner (head of legal, Vodafone), Angela Williams (head of legal, global cash management and debt advisory, Barclays) and David Symonds (VP, regional general counsel EMEA, Tyco International). The whole discussion is extremely informative and if you are a business developer looking for insight into how the leaders of some of the biggest in-house teams out there think, then you should watch it. But, for the purposes of this post the most crucial part is the commentary by David Symonds who, discussing why Tyco appointed the law firm Eversheds as sole legal provider (in the now famous annual fixed fee arrangement tender), states that Tyco instigated what he calls certain grounds rules with Eversheds, including that only one lawyer acted for them and that the work was carried out at the appropriate level depending on what the matter is. Nothing ground-breaking there. Until you get to 11 minutes and 53 seconds into the video. Here a general discussion is going on among the panel about what law firms do (or need to do) to differentiate themselves (the Holy Grail) and Symonds states that Eversheds were the only firm to offer a full time dedicated Project Manager to manage Tyco’s caseload. Now this really is big news, because it cannot be long now before the rest of the international firms follow suit (Clifford Chance and Linklaters are already being mooted as implementing legal project manager roles later this year and, in addition to Eversheds, Hogan Lovells and Freshfields Bruckhaus Deringer are understood to already have these roles in place). So, what can we expect from a Client Project Manager? HSF project managers will work with project teams and be involved in pricing negotiations with clients as well as providing coaching to partners on efficiency and best practice when managing complex cases. which doesn’t sound all that different to the Client Account Manager role. provide the team with client-based business thinking. and it is #3 and #4 in that list that law firms really could benefit from. Now all we need to decide is: do these roles sit in the finance department, the practice groups, or marketing and business development? Can a falling A$ make selling Australian legal services easier overseas? As regular readers will know, I have written a fair amount in the past (see here and here) about how a depreciating Australian Dollar (A$) is likely to be unkind to the Australia-based partners of international law firms operating here. It was, therefore, pleasing to see a post ( ‘Will international ﬁrms still call Australia home?’) on the Australasian Lawyer website yesterday that largely echoed many of the comments I had previously made. The answer here will depend on your law firm, its culture and client base. But, assuming that your firm actively encourages cross-border collaboration (and there is a whole different post there), the short answer should be yes. How recently did I update my website profile/CV? Are all my deals Australian-based? Am I showing regional experience? Indeed, am I using regional keywords in my website profile or only local Australian used ones? What sectors in Australia are likely to benefit from a falling A$ (tourism?)? Do I have expertise or a story to sell here? A falling A$ should make assets in Australia more attractive to international purchasers (case in point: pension funds looking at real estate?). What am I and my colleagues doing about this? What is the Australian Government’s current policy towards a falling A$ and foreign direct investment (FDI)? Is there a story to tell here (and there most likely is if you look closely enough)? Are there regional developments that I could take advantage of (for example, development of arbitration courts in Singapore and HK?)? Are there any free trade agreements (FTAs) in pace that make the falling A$ attractive (export markets?)? When was the last time I talked with my clients to see how they were being affected by market/currency fluctuations and what steps they are putting in place to get the most out of this (manufacturing/FMCG?)? Is there any way I can help my clients out with the current environment (put them in contact with clients in Asia?)? Maybe I can/should attend a regional trade or industry conference. 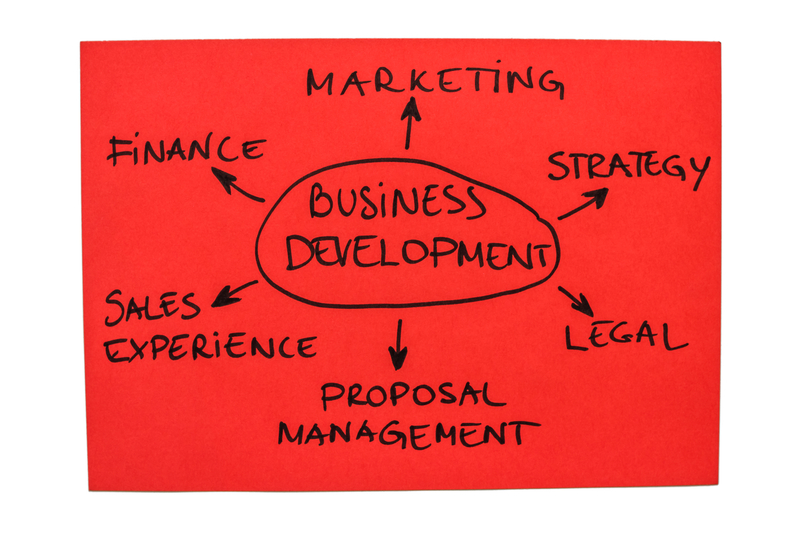 What local or regional opportunities (tenders, capability statements, etc) are my business development team working on? Is there any way I can get in on this? What regional panels are my firm on and can I look to develop these? If so, who is the relationship partner? Should I be considering a secondment to another office in our firm network or to a client outside Australia (Asia, Europe, US) [especially if I can charge US$ for it!]? Clearly you will need to make sure that you are meeting your clients’ expectations. You will also need to make sure you have in place a fee mechanism that is considerate of the exchange rate, while being beneficial to you and your firm, and also allowing everyone to prosper from the situation. But, at 87c on the US$, the value proposition of an Australian lawyer active outside of Australia (such as in Asia) should have become a lot easier to communicate today than it was a year ago. if you have been billing a client (especially one outside Australia) for several years in A$s, now is not the time to suddenly, and without notice, start billing that same client in US$s. Strange as it may seem, clients will quickly see through this move. So make sure you give this issue careful consideration (as clients have also been known to talk with each other! ).